Metaclasses are an advanced topic and you generally don’t need to know about them or make use of them .....but knowing how they work might suggest alternative approaches to many problems. This extract is from my new book published on July 9th with the subtitle "Something Completely Different". It is only after you have mastered metaclasses can you truly say that you understand how Python implements objects. Just as classes create instances so metaclasses create classes. This is the key point in understanding why and how you might use a metaclass. If you only want a single class with a particular set of behaviors then simply implement it using what you know. If, on the other hand, you want to create a set of classes with a particular behavior then you might need to use a metaclass. You could say that metaclasses are about organizing classes just as classes are about organizing instances. It is also worth saying that Python 3 is so flexible that there is usually more than one way of approaching a task. Metaclasses have become slightly less useful since the introduction of decorators which can take a class and transform it into a new class with additional features. Many things that can be done with a metaclass can be done with a decorator and it is often a matter of taste which is considered better. However, there are some things that only a metaclass can achieve and they are still important if not commonly used. Classes are special objects that you can call, i.e. use like a function object, to create new objects. In the previous chapter we have been looking at how a class creates the instance – this is what __new__ and __init__ are all about. There is another stage in the life of a class object, however. When the Python system reads the class definition it has to create a class object. That is, when the Python system encounters a class definition in your program it has to create the class object it defines for you to use later in your program to call to create instances of the class. The class definition creates a class object just as the function def creates a function object. 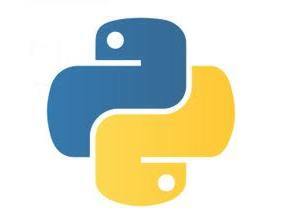 The simplest approach would be to just get the Python system to create the class object from the class definition as an automatic “behind the scenes” operation but Python provides a mechanism whereby you can modify the way class objects are created. A metaclass is an object that creates a class. It is a class object factory in the same way that a class object is an instance object factory. The default metaclass object is called type. Every object has a __class__ attribute which is used to record the class that created it. Instance objects have the class object that created them as their __class__. By default all class objects have type as their __class__. So what does the type object have for its __class__? The hierarchy has to stop somewhere and Python solves the problem by having type nominally create itself. Type is a metaclass, the fundamental metaclass. You can define your own metaclasses, however, by creating a class that inherits from type. A custom metaclass is just a class that inherits from type. How does type do its job and create a class? When the system encounters a class definition, it first executes the body of the class to discover what attributes are created. These are put into a dictionary as the class’ namespace. where name is the name of the new class, bases are the base classes of the new class and dct is the namespace dictionary. The call to Meta returns the class object. If metaclass= is present in the class definition then the metaclass it specifies is used to create the class object. If it isn’t specified then any metaclass defined on any base classes is used and if there are none, type is used. This creates a class object with the name MyClass, inheriting from object and using the namespace ns i.e. it will have an attribute called myAttribute set to 42. If you want to you can call type directly and use it to create class objects dynamically. as a line in your program as an alternative way to create a class with the attributes and base classes listed. The above description is for the default metaclass type but the same sequence occurs if you use a custom metaclass. A custom metaclass has to inherit from type – this seems reasonable as you still have to use type to create your class.